I moved from the U.S. to Canada, and I'm changing my Mac to spell check in Canadian English instead of American. 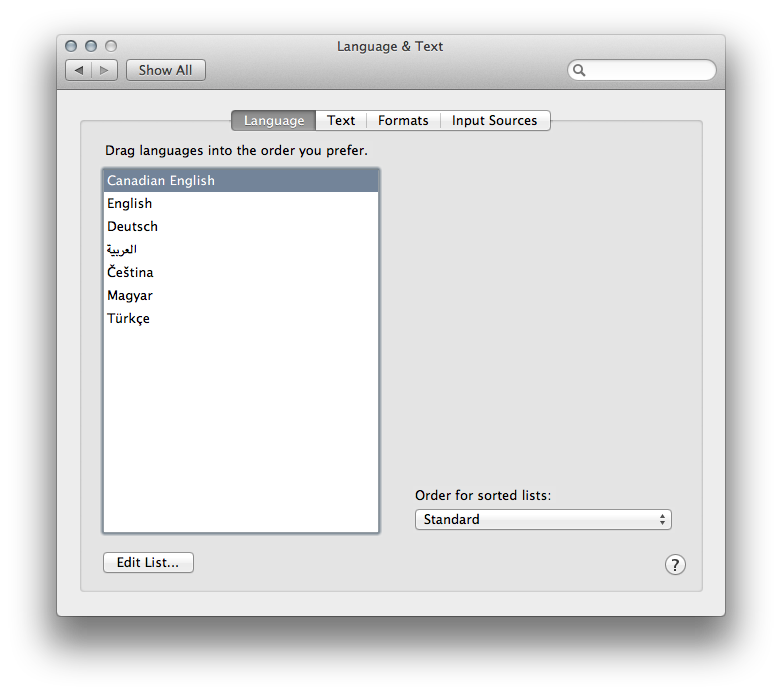 I went to System Preferences > Language & Text > Text > Spelling, and changed the setting to "Canadian English." Most applications (such as Mail & TextEdit) now use Canadian spellings. But Word and Pages still use American English -- they tell me that colour, favourite, neighbourhood, etc. are misspelled. How do I get Word and Pages to default to Canadian English? With Word, I can change the document's language with Tools > Language. But I have to do that for every document. I've logged out of my account and rebooted. That doesn't help. Use Tools > Language to change the language to Canadian English. Now new Word documents use Canadian English. Pages uses the system languages to determine the default spell-checking language in new documents. You need to set this to Canadian English, then new documents will use Canadian English as spell-checking language by default. Alternatively, if you require more flexibility and only use a small number of templates by default (e.g. the Blank templates), you can create new documents based on them and set their spell-checking language in the document inspector (after selecting all text). 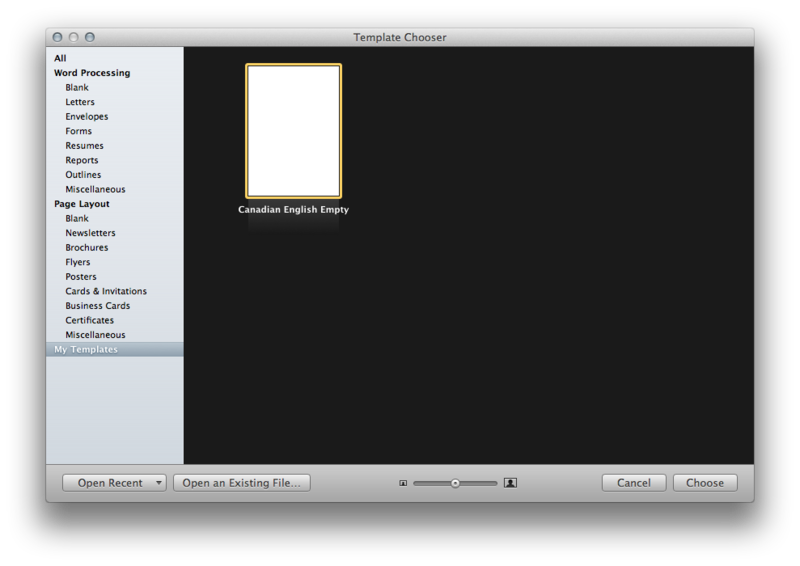 Then select File » Save as Template… and name it e.g. Canadian English Blank. From then on, the template will be available from the template chooser. Pages will remember the template category selected when you created a new document previously, so you don't even need to click My Templates all the time. Not the answer you're looking for? Browse other questions tagged macos microsoft-word spell-check iwork-pages or ask your own question. MS Word 2016: Changing the time format?